On Memorial Day weekend I once again visited our nation’s wild horses. This time I visited the herd on the Pine Nut Mountain Range in Nevada. That area is an HMA or a herd management area, which means they are “are lands under the supervision of the United States Bureau of Land Management that are managed for the primary but not exclusive benefit of free-roaming ‘wild’ horses and burros.” During previous visits to see wild horses I mostly concentrated my observation of them on the Virginia Range, which is geographically north of the Pine Nut’s. I targeted this herd because they have advocates that speak for them and maintain them. In other word’s they have people who look after them. It is my opinion the wild horse herd in the Pine Nut’s are very special because of the bonds they form between each other. 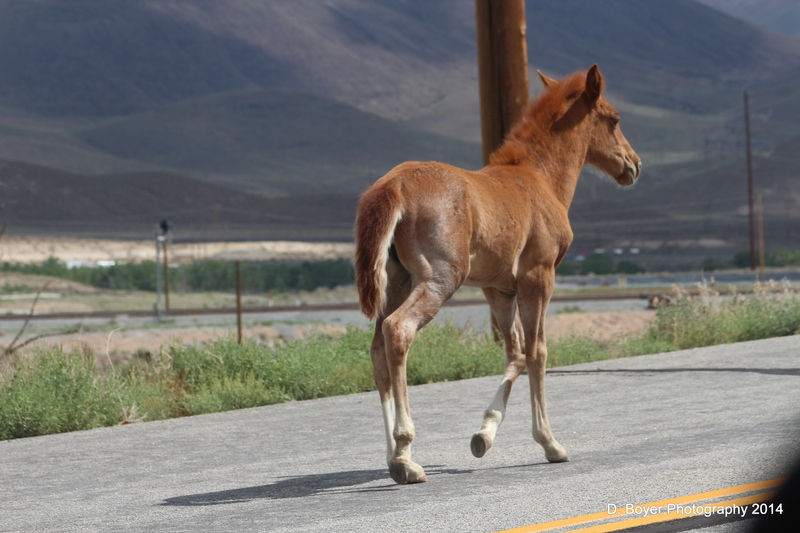 Wild horses are considered by some, to simply be feral horses. Brought on by economic desperation or owners who simply became too poor to care for them, but, after they are in the wild, they are wild again. Wild horses do indeed become themselves after they are free to roam on the ranges. They form their own families, socialize with each other, they adopt or raise their own off spring, they have leaders, followers, babysitters, and bosses, and many become best friends’. Observing wild horses is simply the most amazing experience a wildlife photographer could do for themselves. Reward for my photo adventures is capturing these beauties in their natural settings. I photographed and observed the wild horses on the Virginia Range for 3 days. Temps were in the 100’s, and the Virginia Range is a riparian forest or desert. The Virginia Range is mostly private property. 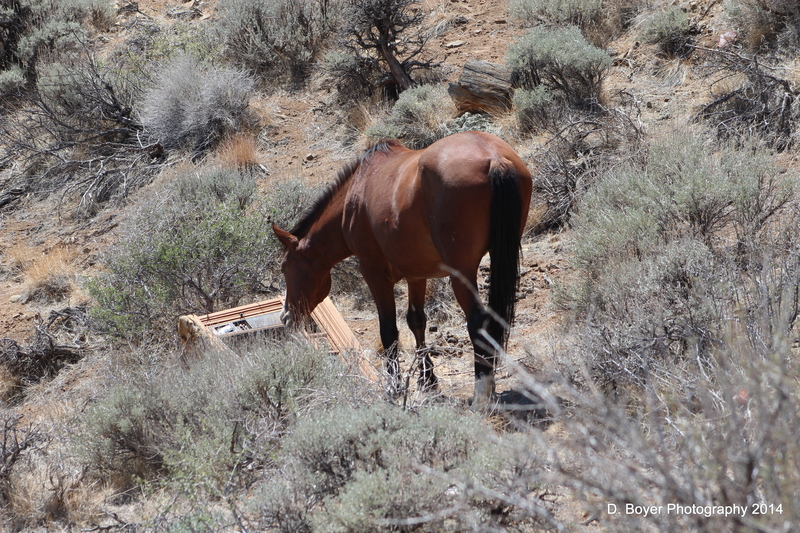 I watched the wild horses, live, play, fight, socialize and I even watched one die. They are very affectionate animals and they always took the time to observe me. I watched this one die. It was walking awkwardly, so I stopped and watched it for a while. He then suddenly laid down on the ground hard, let out a squeal, and then he stopped breathing. Baby horse with the momma.